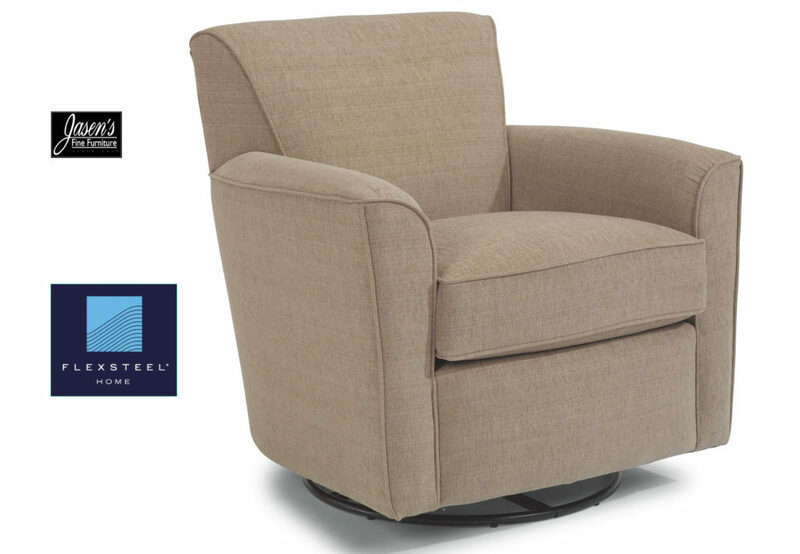 Flexsteel Kingman is a fun accent chair that swivels and glides. The frame looks it’s best with your pattern based or tapestry style covers, yet looks sharp with solid covers too. The Kingman is a perfect companion for the ever popular Lakewood series. The chair is available in any material that Flexsteel offers. There are 1000’s of covers available including fabric, leather, nuvo, kashmira, and more!